An art day in Pittsburgh. First stop, La Hutte Royal, an art installation inside a house in the Troy Hill Neighborhood in Pittsburgh. 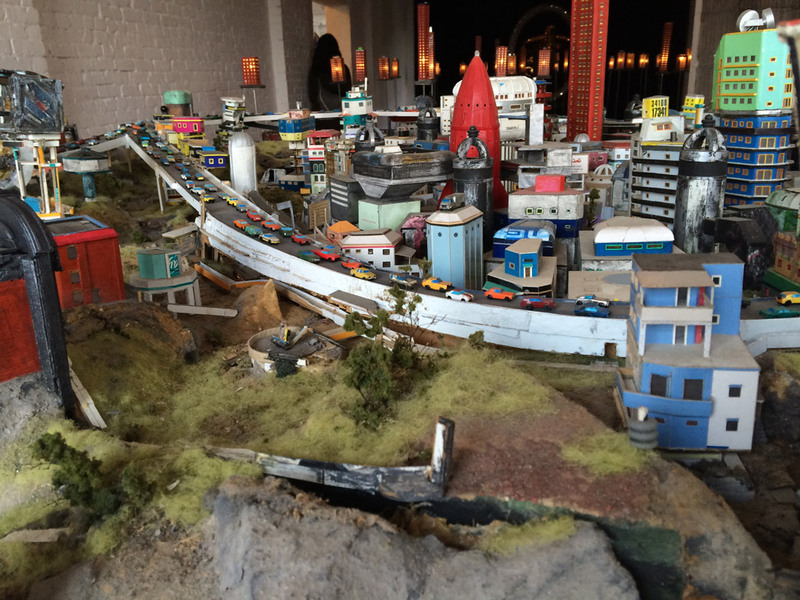 The installation is by the German artist Thorsten Brinkmann, and the home is owned by the art collector Evan Mirapaul, who commissioned the installation. 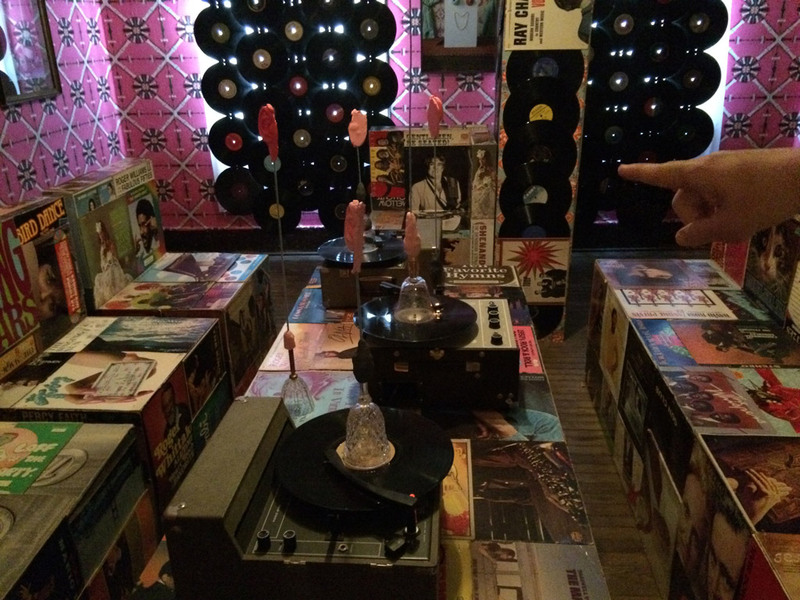 The living room of La Hutte Royal (with my brother pointing out an album cover). 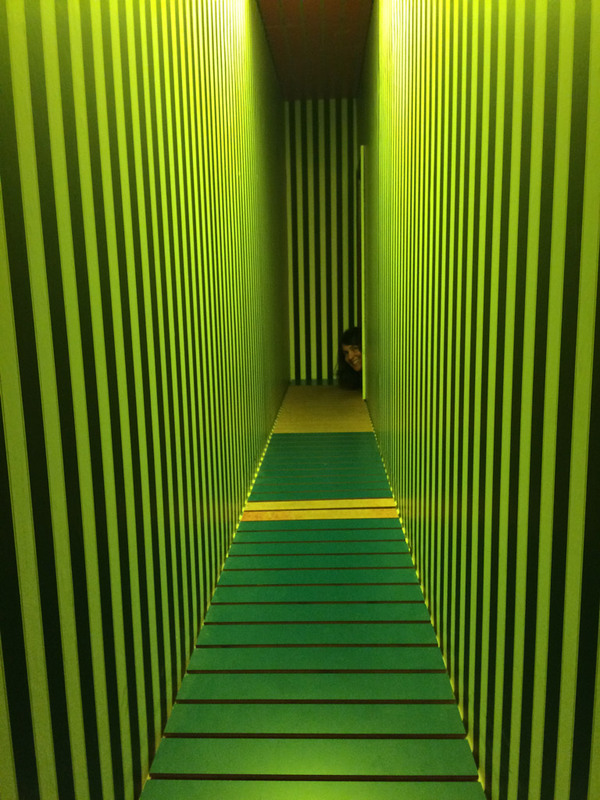 A narrow passageway on the mysterious second floor of La Hutte Royal. 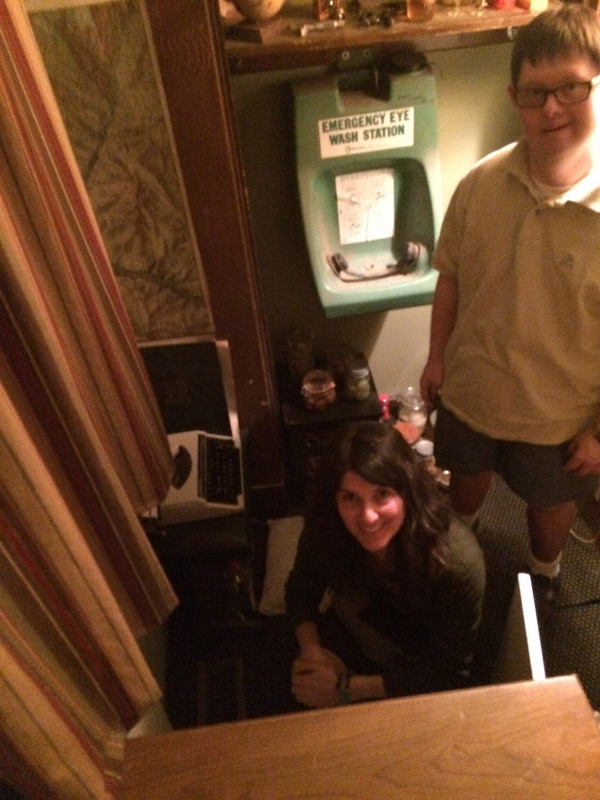 One of the few spaces on the second floor where you can stand, after crawling around, with my spouse and brother. Everything is pretty close in Pittsburgh, but getting from Troy Hill to Bloomfield for lunch meant driving down Rialto Street, which my brother said was like a roller coaster. Our destination wasn’t far, though. 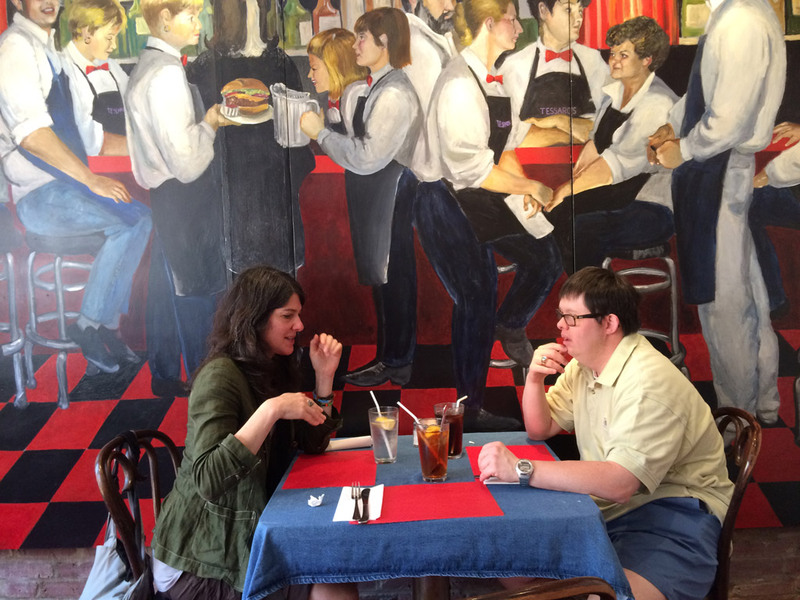 Pittsburgh lunch at Tessaro’s in the Bloomfield neighborhood (the place is known for hamburgers cooked over a wood-fired grill). 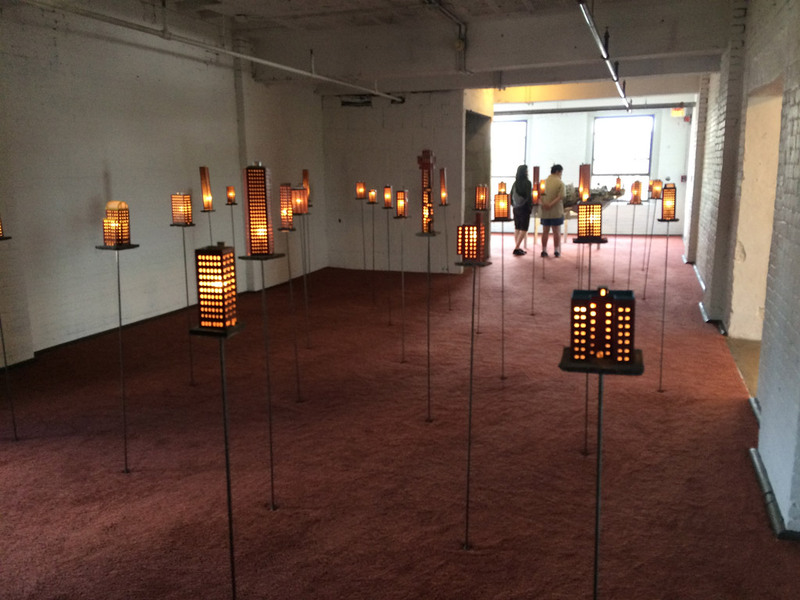 The Mattress Factory is a museum, artist-in-residence, and educational complex in multiple buildings in the historic Mexican War Streets area of the North Side of Pittsburgh. 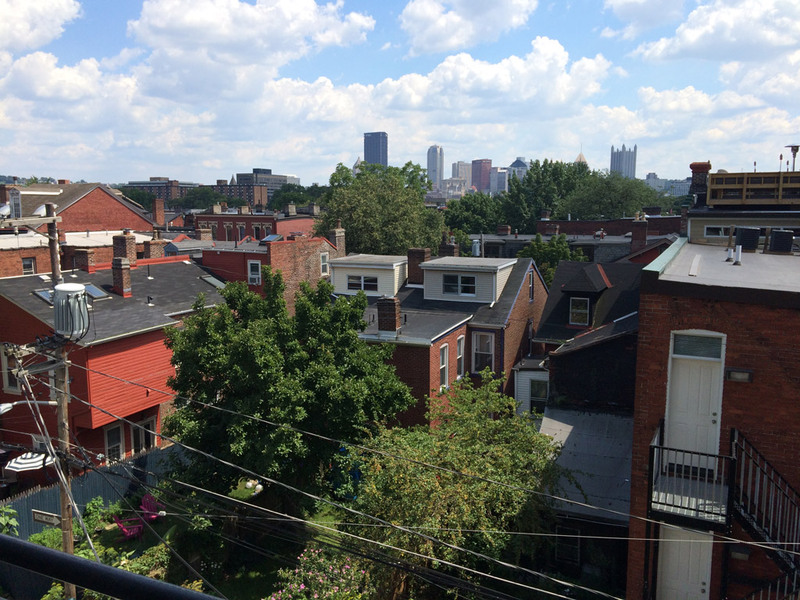 A view of the downtown Pittsburgh skyline from The Mattress Factory in the North Side neighborhood. 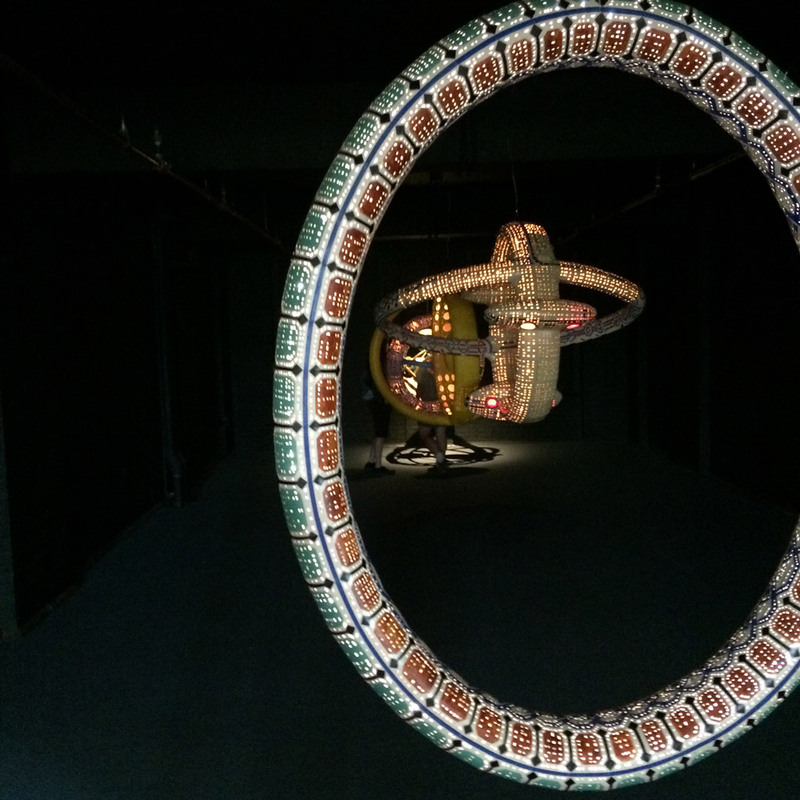 Ryder Henry’s “Diaspora” at The Mattress Factory. 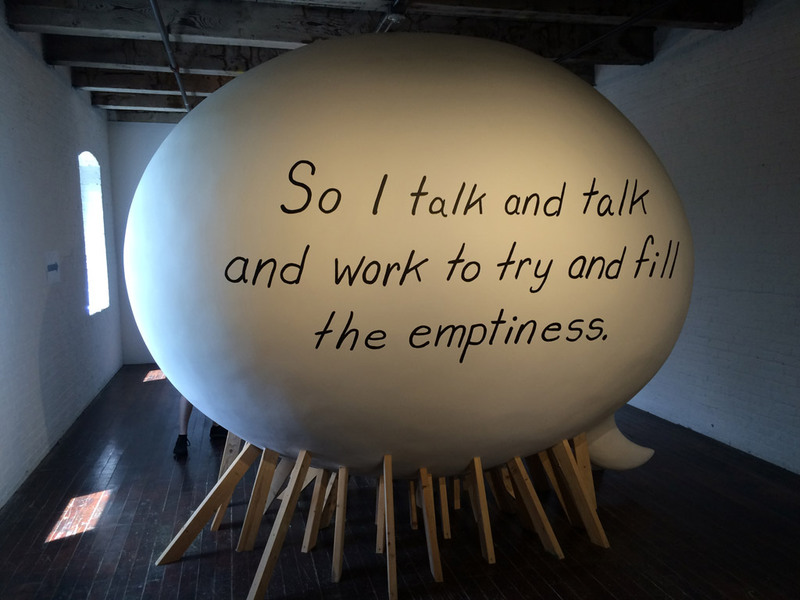 John Pena’s “Word Balloon” at The Mattress Factory. 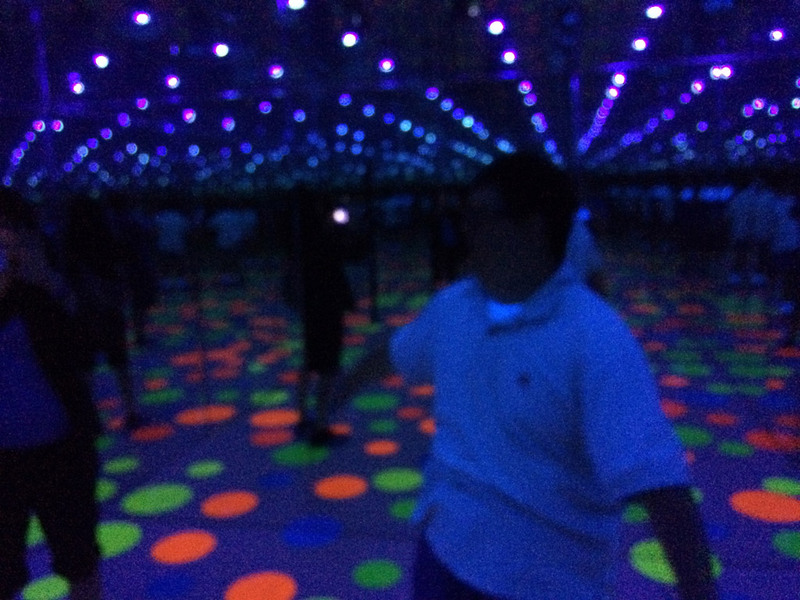 Yayoi Kusama’s “Infinity Dots Mirrored Room” at The Mattress Factory, with my brother at right and spouse at left. 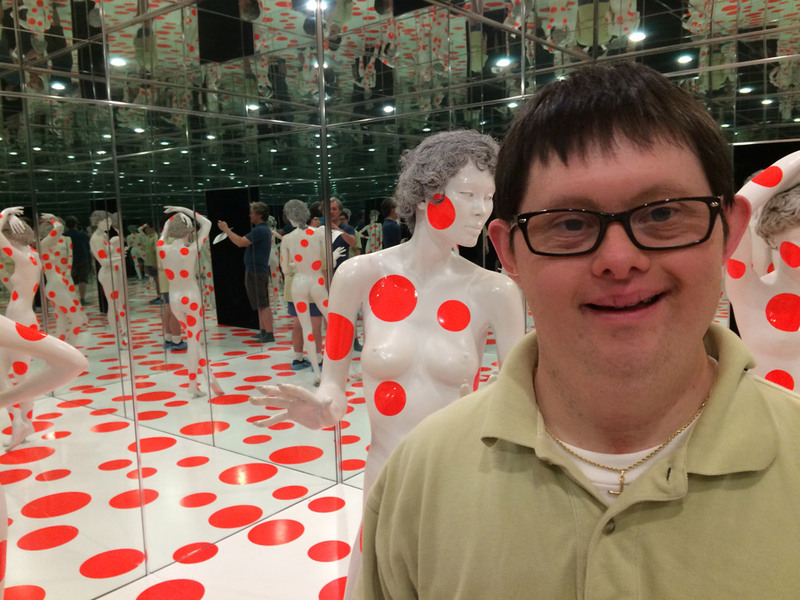 Yayoi Kusama’s “Repetitive Vision” at The Mattress Factory, with my brother.